One day before the 84th Anniversary of the Stock Market Crash of 1929, and for many this week seems to be working in that direction, I would like to take this opportunity to present a historical evaluation of the importance of October 28th. For the true conspiracy theorists in the audience this may blow your mind. Not as much as “Paranormal Activity” but a close second. Many significant events transpired on this hallowed day in history but the unprecedented significance is almost mind boggling. Truth be told, I wanted to use the phrase “mind boggling” for some time and could not find a true fit until now. Many other significant events occurred on this day including the end of the Cuban Missile Crisis in 1962, Benito Mussolini taking control of Italy in 1922, and the first Macy’s Department Store opened in New York City in 1858 but the critical importance of these three events on the same day in history is truly amazing. 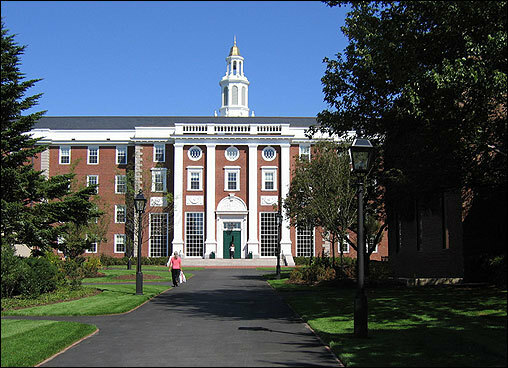 Harvard is considered the foremost pinnacle of higher education, setting the standards for the entire country and the world. Setting the bar for ethics, morals, educational standards and reputation has made Harvard a reputable giant in the world of academia. Eli Whitney is considered by many historians as the Grandfather of the Industrial Revolution. The cotton gin created a breakthrough in mass production tooling and process. This invention would open the doors to the world we live in today. Finally, the Statue of Liberty. Lady Liberty needs no introduction. For millions that landed on Ellis Island to call America home, this is the symbol of liberty, freedom and democracy. The Statue of Liberty is a symbol of honor, respect, loyalty and most importantly all the freedoms we celebrate each and every day. As one observer, I am truly taken back by this new found knowledge. Three events that paved the way for education, industrialization, and freedom all began their reign on October 28th. Too Academic excellence, modern industry and democracy….Cheers! I look ahead to more innovative postings like this one. Does your website have a newsletter I can subscribe to for updates?